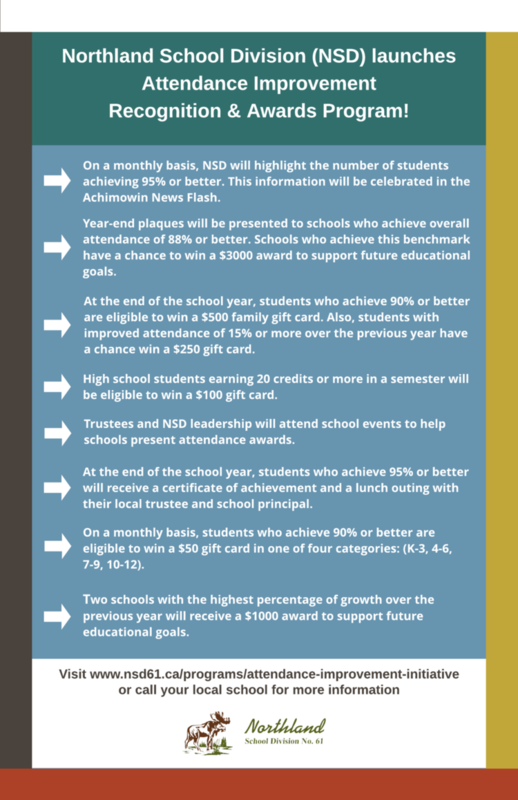 NSD Attendance Improvement Recognition & Awards Program! Awesome new Program! Gift cards, money for future educational goals. Please read the poster, and if you have any questions contact the school!